Location 58 Charoen Krung Road, Khet Bang Rak, Bangkok. Date of Construction before 1934 AD. Wat Suan Phlu was built circa 1797, on an area that formerlu was a betal leaves garden of a Chinese. The Ordination Hall was built in 1978, the Gathering Hall built in 1934. Most of the building in the compound have been restored; however, the monks’ redidences are still well- conserved. 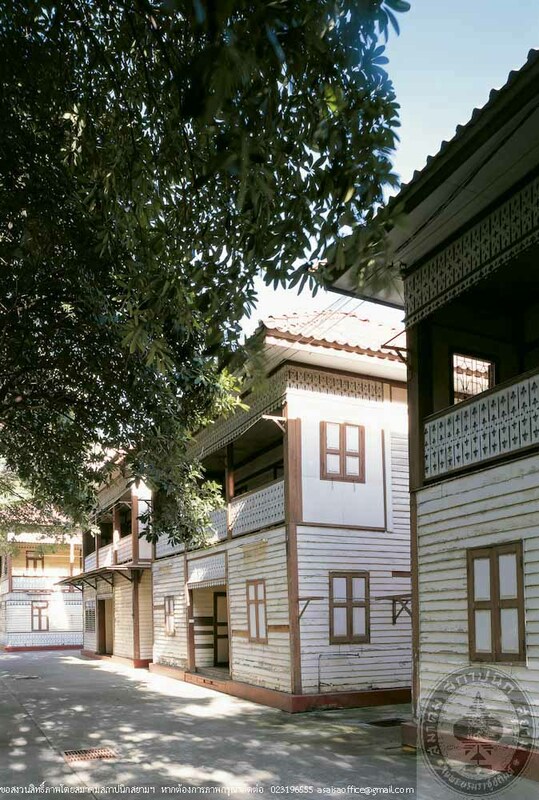 The monk’s residences are built in the same design, wooden, two-storey, decorated with fretwork at the sunshades and the balustrades. The atmosphere is simple and peaceful. The temple ground’s is kept very clean, tidy and green, as appropriate to a religious place.